Many seniors retire and realize that they either want to work more, or they need to work more to pay the extra bills. We thought we would help list some part time jobs that companies hire seniors to complete. We used our own experience, as well as viewed hundreds of classified ads to find out what types of companies and jobs are available for seniors. Of course there are thousands of different types of jobs available, depening on you skills, but here are some of the more popular, and easier to find part time senior jobs. Chances are you have expertise of some kind. Maybe you worked most of your life as an accountant. If so, look for part time jobs that use the skills you already have. Many accounting and finance departments need part time or even full time help and often hire people over 50 because they know that they are reliable, have a lot of experience, and will often take lower wages than younger employees. Think about your skills and how you could apply them to other jobs. Maybe you’ve spent a lot of time helping to organize events. If so, you could look into administrative positions that count on good organization skills. Perhaps you are very friendly and outgoing. You could look into being a receptionist or greeter. Maybe you’ve got experience driving a commercial vehicle. There are lots of shuttle bus and caregiver bus jobs available for seniors. Use whatever skills you have to search for a job in that area. Try to expand your search to other jobs that have similar skills to yours, even if your specific experience isn’t in that particular field. Remember, you’re looking for a part time job with decent pay, not a top notch long term career. Seniors are good at being caregivers because they often have experience caring for others. Also, because they know they could be in a similar situation to the people needing care one of these days, they are more sympathetic to people needing care, and can easily relate to these positions. That is why being a caregiver is near the top of the list of jobs for seniors. Caregiver can mean many different things. There are jobs available in hospitals and nursing centers. Sometimes you can apply for them with no training, and in some cases, you need to get a certification before you can work some of these jobs. Many health care related jobs offer on the job training that will result in the needed license or certification. If you can get a job at one of these institutions that’s great, but if you can’t, don’t give up. There are tens of thousands of jobs outside of the official employement of companies that you can find. For examples, search your local classifieds for home health care, caregiver or at home nurse. Many people hire caregivers to come to their home for a few hours each day or each week and to help out with an ill or elderly person. These positions can pay between $8 and $40 per hour, depending on what type of work you do and where you live. To find jobs like this, search classifieds such as local papers, craigslist, and even the bulletin boards at your local hospital or health care clinics. Another part time job for seniors is being a driver. A driver can mean many things, but most require a commercial drivers license of some sort. To get one, contact your local DMV and grab an application. You’ll need to take a short course, complete an exam and drivers test, and then you’ll be able to use your license to make some money. Shuttle buses are a popular job for seniors. Shuttle buses are driven at airports, hotels, resorts, hospitals, schools and even at elderly care and living facilities. Many shuttle bus jobs are part time and filled by seniors. If you want to expand beyond shuttle buses, there are also driving jobs for school buses, taxis, limousines and even for children’s carpooling needs. Search the classifieds and post your services on craigslist to help you find a job in this category. If you are good with numbers, or very knowledgable at doing taxes, you could fill a need for the seasonal based tax preparers. Many accounting and tax companies (like H&R Block) hire seasonal employees to process tax forms for their customers. The job can be tedious but the pay is often worth it. Also, the job can be either part time or full time, but usually only during the tax season. This makes it a great senior job that you can use each year to supplement your income or maybe even pay off your own taxes for that year. If you’ve paid attention, you’ll notice that most grocery stores have seniors working for them. Whether its checking you out at the register, stocking shelves, working the deli, or even bagging your groceries, there are definitely a lot of senior jobs available in the grocery industry. The nice thing about these jobs is that many are part time. That’s because there are one or two busy shifts per day that grocery stores need to staff up to offer fast service. By agreeing to work during these shifts, you are more likely to be hired by these companies. Grocery stores do not offer very high pay, but they do sometimes offer benefits such as cheaper groceries, free food, and even health insurance or profit sharing. This one may be obvious, but it can’t be omitted from our list because the fast food literally employs hundreds of thousands of seniors. Staffing a fast food company is very difficult. Most fast food establishments hire teenagers to work and many quit or stop showing up shortly after they complete their training. That is costly to employers and they are always looking for dependable people (i.e. seniors) to fill these part time jobs. Besides working the registers and cooking, restaurants need people that can bring the food to the tables, clean the floors and bathrooms, empty the garbages, and many other simple tasks like changing menus from breakfast to lunch and keeping the parking lots clean. While these jobs are not glamorous, they are very respectable jobs that can pay over $10 per hour and often offer benefits to long term employees. Some of these companies even offer workers access to their employee stock plans. This job is one that I didn’t think was really a senior job, but when I searched a lot of the senior classifieds, I found hundreds of these jobs available. The fact is, there is a lot of mail and deliveries that need to be delivered inside a company or building. These jobs could be associated with a large office building, a particular company, a hospital or school, or any other large organization that needs to control both its internal and external deliveries of mail and documents. Positions like these can be found by searching classifieds or by searching the help wanted section of your local companies’ websites. These part time jobs are not something you may necessarily think about yourself, but if you search the classifieds throughout the country you’ll find that there are thousands of jobs working in billing and administration that are looking for reliable and dedicated employees to help them keep their billing departments organized. 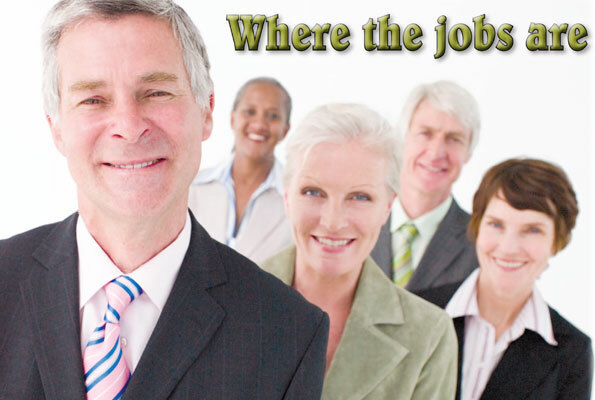 When looking for billing jobs, you can always search job listings. Or, you can think about the types of companies that have to do a lot of billing and contact them to see if they need help. These types of companies include hospitals, dentist offices, construction companies, utilities, universities, marinas, and any other medium to small business that works with a large number of customers and that bills after the services are performed. Not all retirees or seniors are looking for high paying jobs. Many are looking for a reason to leave the house and something important to do. Non-profit companies offer low paying jobs that are very important and that you can feel good about doing. Non-profits include companies like food banks, churches, hospitals, Red Cross, Salvation Army, Habitat for Humanity, Big Brothers and Sisters, and even the YMCA. Check with your local non-profit organizations to see if there is a job for you. Need help? There are hundreds of websites that list all of the non profit organizations in you area. Or you can visit your local chamber of commerce or Department of Revenue for more detailed lists. Ever been to a Wal-Mart, Sams Club or Costco? If so, you’ll see that there are people that greet you and check your membership when you arrive. There are also people that check your receipt on the way out and wish you a good day. These greeter and checker jobs are great for seniors and offer very reasonable pay. Work more than 20 hours per week and you will likely be entitled to receive benefits such as access to health insurance and other programs. Okay, this one may be a stretch for some, but if you are looking to stay active and maybe even move to another location for the summer, you can work at a campground. My family stayed at a huge (over 1,000 site) campground last summer and I noticed that nearly all of the workers were over 50. I did a little asking around and found out that they used a company that specifically hired seniors from all over the country, supplied them with dormitory style housing, and gave them a job for the entire summer. If you’re a home body this job probably isn’t for you, but if you are single and outgoing, this could be a great way to meet new people your age, enjoy a new location, and even make some extra spending money. To find these types of companies, ask around, do some searches on the Internet, and call some of the larger campgrounds near you to see if they can help. Amusement parks employ thousands of people. Although they often hire teenagers to work during the summer, there is a big need for amusement park workers year round. This is especially true in warm climates and for the latest craze in indoor waterparks and indoor amusement parks. For example, the city of Wisconsin Dells now employs over 23,500 people despite having a permanent population of only 5,500. That means that the year round waterparks and amusement offerings need to find workers from all over. For this reason, they have thousands of jobs that offer housing, and seniors are included in the type of people they prefer to employ. If you are willing to relocate for a while, or can find an amusement park near you, this is worth checking into. Many retail stores need extra help during the holidays. After all, nearly 70% of all shopping is done during each holiday season. If you can work a cash register, fold clothes, restock shelves or do almost any other odd job, then there is likely a chance for you to find part time or full time seasonal employment. Because most teenagers are in school during the holidays, many of these companies turn to seniors to fill this gap. To find this type of work, search job listings and visit any local shopping malls customer service department to inquire about finding a job there. Many seniors are looking to do something valuable with their time rathter than to make money. For these people, pursuing a volunteer job can be very rewarding. Not only will you be helping people, but you will be staying active and meeting new people. Volunteer jobs for seniors can include working at food banks, homeless shelters, cleaning up roads and parks, helping with political campaigns, and for organizations such as Goodwill, Red Cross or even a fire department. Most non-profit companies need help so finding a volunteer position shouldn’t be too hard. In conclusion, there are thousands of ideal part time jobs for seniors. We hope this list helps you get started on your search. If you have any other ideas, please add them below to our comment section. I have been looking for a mailroom job for over five years. I am not a senior citzen as of yet. But I really do want to get back in a mailroom position. I have five years in a mailroom. A lot of whether you can find a mail room job depends on where you live. You typically need to target companies that have several hundred employers. If your area doesn’t have many of those types of companies, then maybe they have other similar sorting and placing jobs. Like working for the public library or maybe a delivery service. You can also see if there is a messenger service that would have similar duties. stops. Maybe a thing of the past?